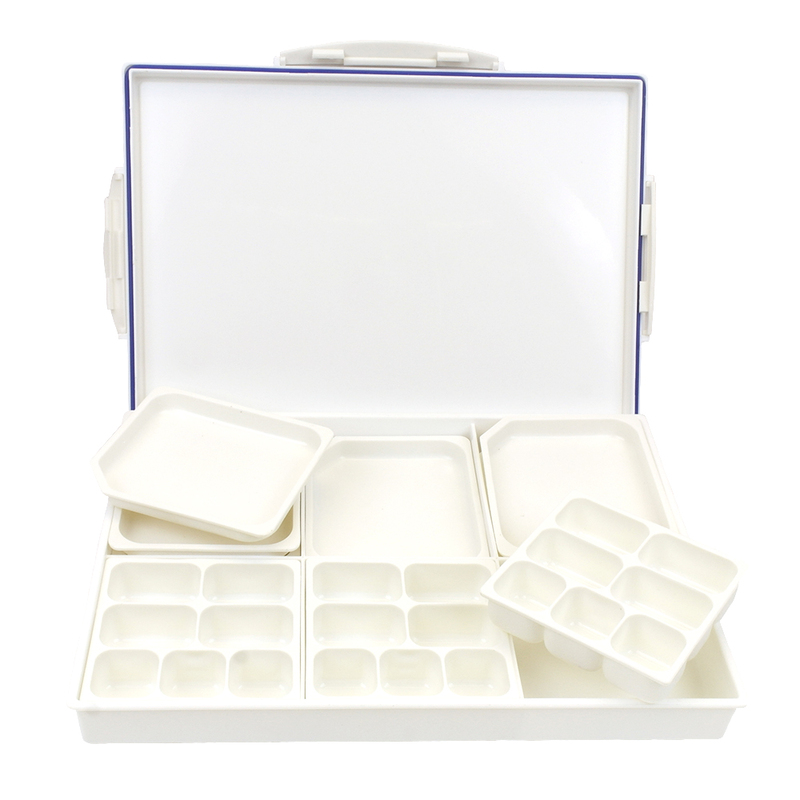 The Ultimate Palette Box is an airtight sealed plastic box which contains a total of 12 separate internal palettes. 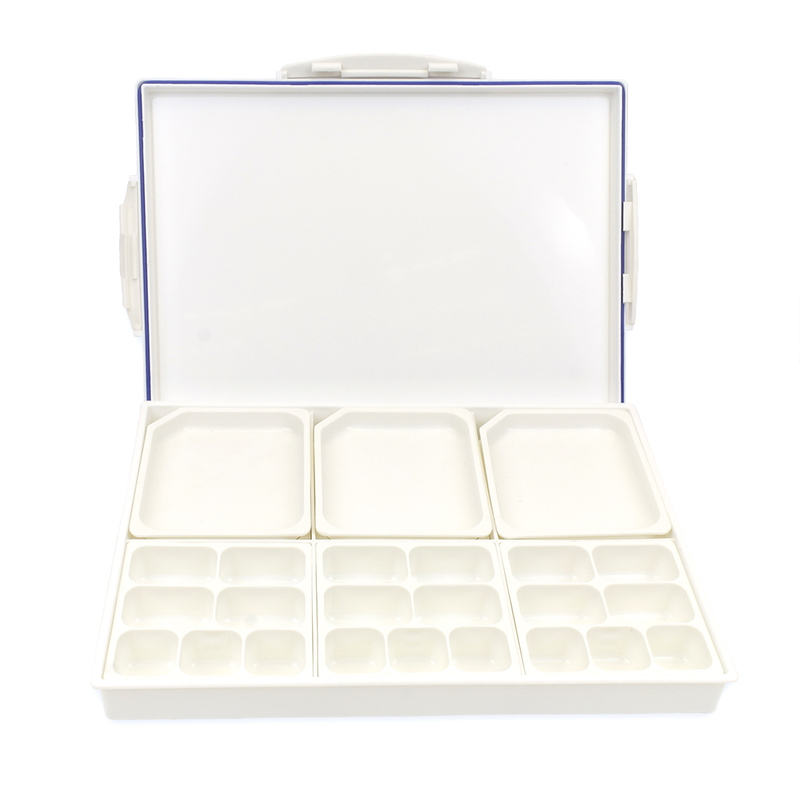 This is the ultimate in palettes and is perfect to keep your paints fresher and also has more mixing areas than you will probably ever need. Please note that the large plastic tray on the right of the photo is slightly warped and does not lie completely flat on a table. 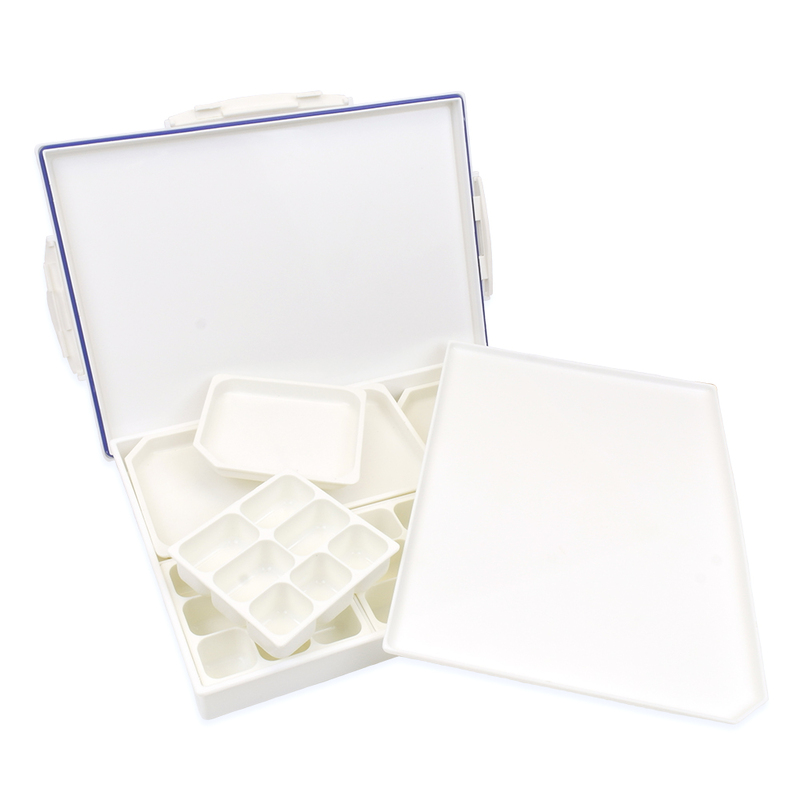 Our supplier has so far not been able to correct this, but we are still selling the product as it is still great value for money and a very useful item. At last the water colour painter has almost everything he/she expects from a Palette.